Did you know there are many creative and unique ways you can use Huggies® Wipes? With its triple clean technology, it’s perfect for those unexpected messes around your home, in your car, or on your children and pets! I’ve never used baby wipes until my son was born, but now that he’s potty trained, I can’t live without them! I continue to use Huggies® Wipes for many things in my life. Huggies® Wipes are a great way to clean up any family’s mess, not just baby’s! 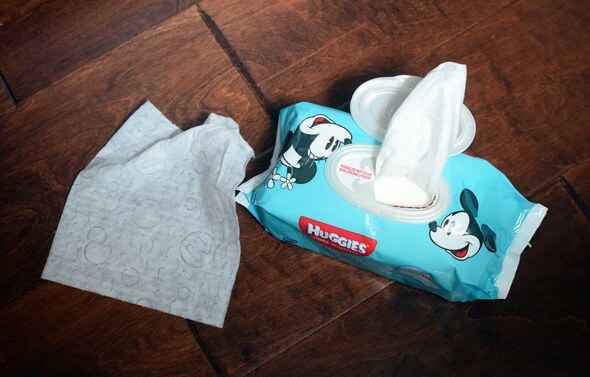 Check out these 25 ways to use Huggies® Wipes – Because kids outgrow diapers, not messes. One of my favorite uses for Huggies® Wipes is to clean spills off floors. I have a toddler son and he’s constantly making messes. Whether it be eating or art projects, everything seems to end up on the floor. Huggies® Wipes are in each room of my house for all those unexpected messes. My son loves to help me around the house. I don’t even have to tell him to clean. He just loves to do it! He just goes and gets the wipes and starts wiping down the window ledges and baseboards. It’s the perfect way to get dust and dirt off those areas. Check out these other fantastic ways to use Huggies® Wipes. Head on over to your local Walmart and grab some Huggies® Wipes for all of those messy moments. 21. Use them to blow noses or for bloody noses. 25. Wiping dirt and prints off walls. Check out this video to see many other uses for Huggies® Wipes. 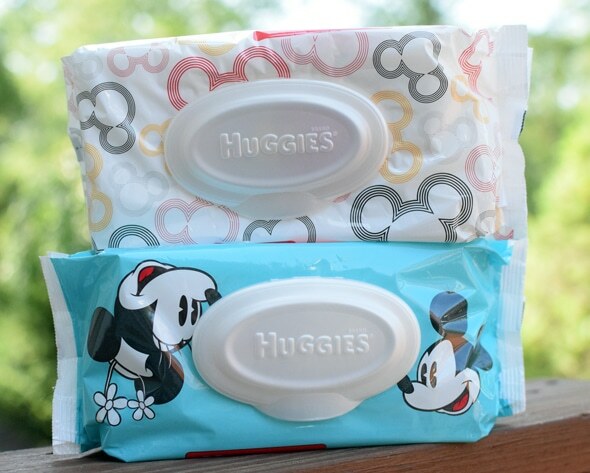 How do you use Huggies® Wipes? Do you have creative and unique uses for them? Let us know in the comments below! Thank you to Huggies for sponsoring today’s post and inspiring me to try Huggies® Wipes at Walmart! I like to keep wipes in my car. Perfect for cleaning up spills and messes! I use wipes to cleanup EVERYTHING! Have been using them for years, since my daughter was born. She is now 14, and I still use them everywhere, and I always carry them in my purse and in my car. We travel with them in our carry-ons when we travel too, they really come in handy! Who knew there were so many uses for the wipes? Very useful staple for the home. Love all of these suggestions, especially the cleaning ones! Wow! lots of uses I would have never come up with! I guess that will be called thinking outside the wipes container! Wipes are a beautiful thing. There’s so many uses. Some of them which I hadn’t even thought of! With two little ones at home under 4 these tips will come in handy! I liked the video at the end as well. I absolutely love wipes and also use them all over the house! Huggies are super strong! These are great ideas! I always keep a pack in the car for surprise messes and wiping hands. CLEAN ANYTHING. LOL. Even though my 3 year old is way past needing wipes, I still keep some around. I keep wipes in my car and when I go to the car wash, use them to clean the inside of the car. My kids love to help with this. I really like them for wiping off restaurant tables. Sometimes they haven’t been cleaned or haven’t been cleaned well enough. We love huggies wipes! We use them for everything, dusting messes, you name it! These are a stole in my classroom! Safe for kids and good for cleaning. Great list! I love using them in the car. Huggies wipes are some of the best. I don’t purchase baby wipes very often as I tend to prefer cloth ones. I do know however that the Huggies wipes are very good for cleaning up around the home. They are very durable and safe for little ones to handle when helping to clean up. ohh never knew baby wipes had so many uses! Will have to try some of these. These are great ideas. I haven’t had wipes around in a long time. Great tips! I’ve used most of these but not the blinds – what a great idea! Sometimes my kid gets a drop of poop on the floor if she has the runs. TOTALLY a Huggies wipe situation!! great uses for any age! I love the cute packaging too. Huggies has such cute packaging! I’ll be sure to share your blog post with all my friends who have kids. I keep a small package of huggies in my purse for easy access and quick clean ups. I didn’t think to use them in some of the ways you shared. I will have to now! 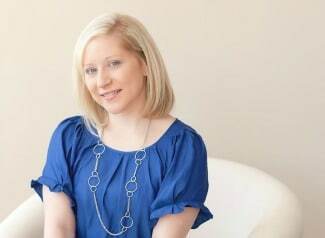 I uses wipes all around the house, and I’ve also used them as a last-minute makeup removing technique! Great post! I seriously love their new slogan – because kids outgrow diapers but not messes!! 😀 So very true. I’ve used wipes for makeup removing for a while, but they ALWAYS come in handy for household cleaning and any mess! This is great. We bought a HUGE box of huggies wipes the other week. We love them, and use them for many different options. I had no idea there was 25 uses though, this is wonderful! 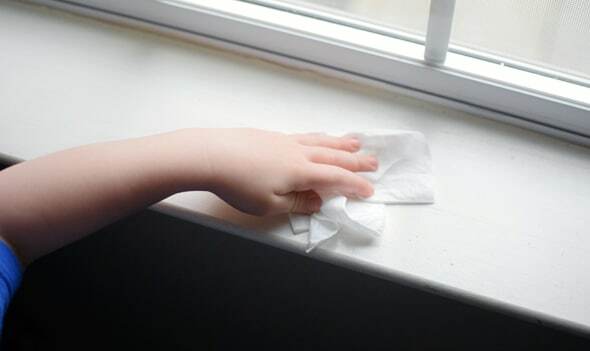 I love using wipes to clean baseboards and window sills! So much easier! I love wipes! They have so many uses! Wipes are an incredibly convenient way to clean up small messes from greasy fingers and spills. They are also good for a quick wash up when you have little ones – it can be a challenge just to try to get into a shower. Wow had no idea so many great uses for these wipes!